When the Online Editor of Myrmecological News asked if I wanted to write an incomplete guide to ant science blogs, I didn’t even have to think about it. Having been a blogging addict for years now (motto “Blogs are like potato chips, who can have just one?”), I said yes right away. I already had a link list on my own ant blog, Wild About Ants. I’d just refresh it and add some information. Easy. Turns out it was more difficult than anticipated. When I made a call for people to reveal their favorite ant blogs, there were… crickets. No suggestions of blogs to add to the list. Plus, many of the blogs I checked from other blog rolls were no longer active. Is blogging dead as some pundits have suggested? Since you are reading this blog, you know otherwise. Blogs give more in-depth content, have potential to build community in ways other forms of expression can’t or don’t allow, and are ways to reach a larger, more diverse audience. As Eryn Brown and Chris Woolston wrote recently in Nature, science blogs still have a place (https://www.nature.com/articles/d41586-018-01414-6). Let’s take a look at eleven examples. Before looking at the listed blogs, however, we should agree on what qualifies. To be considered to be a blog, it must be updated regularly and typically present material in reverse chronological order, so the most recent posting appears at the top. Those criteria exclude a number of highly informative websites which have more static content. 1. Myrmecos: Social media influencer and photographer extraordinaire Alex Wild started blogging in November 2007 at WordPress (https://myrmecos.wordpress.com/) before moving to his own domain. Anyone interested in ants should read every post. 2. 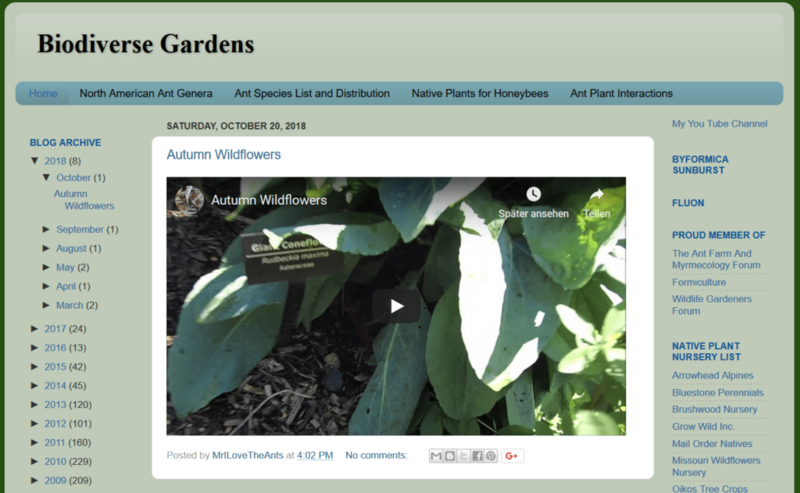 Biodiverse Gardens: Chris Murrow (aka MrILoveThe Ants) features plants and other insects in addition to fabulous posts about ants. 3. 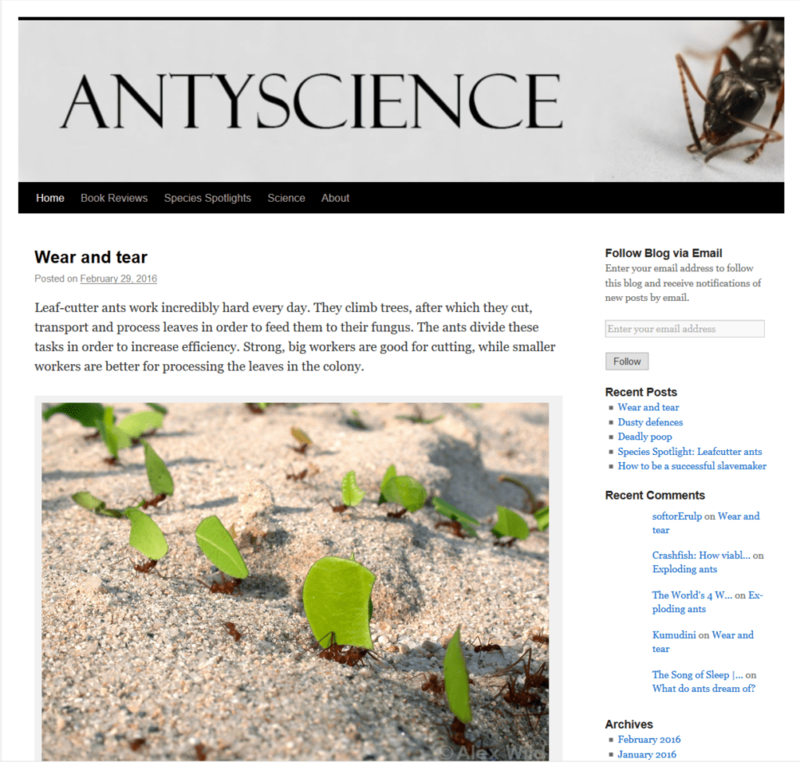 InsectesSociaux: Affiliated with Insectes Sociaux, the International Journal for the Study of Social Arthropods, the blog highlights recently published articles from the journal and has interviews with authors, many of whom work with ants. 4. The Daily Ant: A recent addition that publishes eclectic articles ranging from poetry (Sundays) to philosophy (Fridays), but all with a common element: ants. 5. 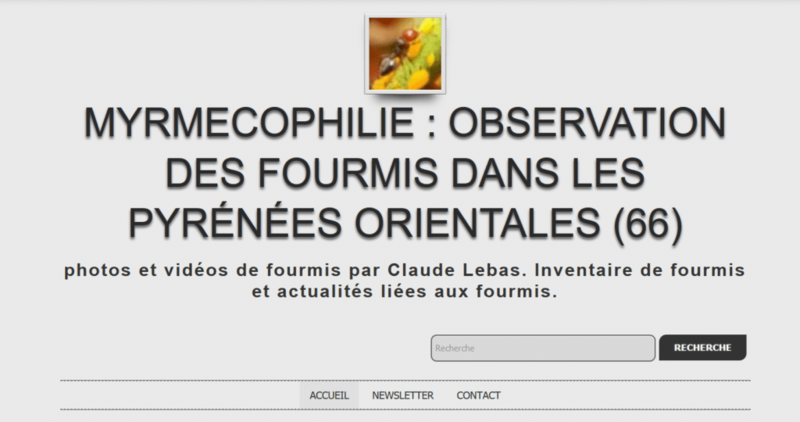 Myrmecophilie: Parlez-vous français? Then this is the blog for you. 6. 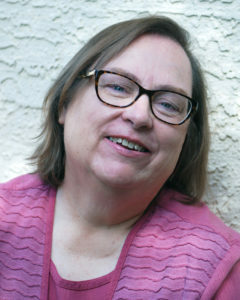 Small Pond Science: In a joint blog with Amy Parachnowitsch and Catherine Scott, ant specialist Terry McGlynn writes about a variety of science topics. Click the “ant science” tag to bring up all the ant-focused posts. Although the authors haven’t posted recently, these blogs still have loads of useful information. 1. Ant Visions: Australian Ajay Narendra focuses on ant vision and navigation. Check out his book, On A Trail With Ants: A Handbook of The Ants of Peninsular India. Last post was June 2016. 2. Anty Science: Nick Bos started strong in 2013 with informative posts and photographs by Alex Wild. He last posted in February 2016. 3. 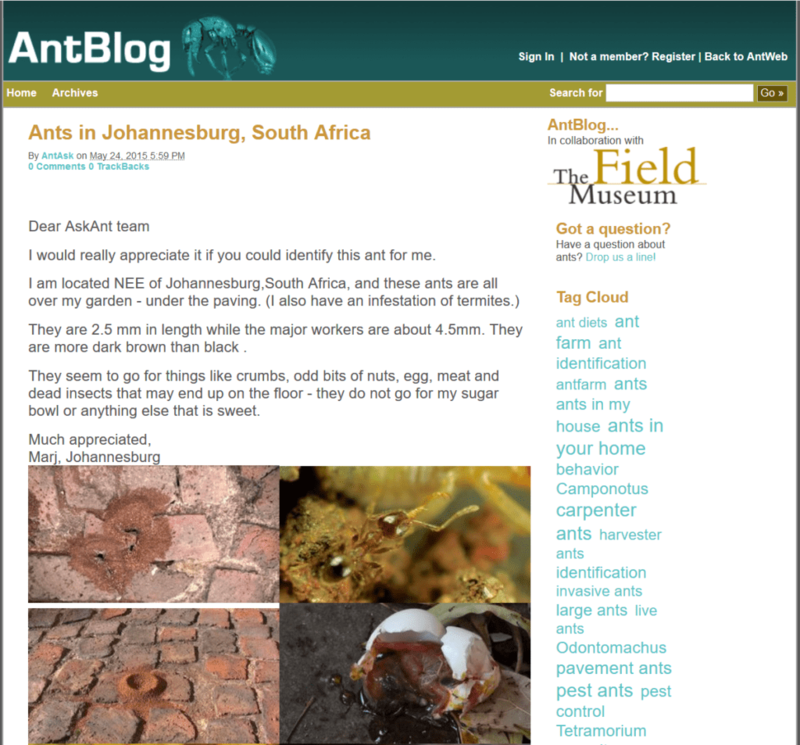 Ant Blog: Associated with AntWeb, this blog answered ant-related questions for the general public until May 2015. 4. Eli M. Sarnat: At his self-named blog, Sarnat studied ants in Fiji and helped develop AntKey, an ID Guide to Introduced Ants. He posted until September 2017. 5. Historias de Hormigas: Stories of Ants is in Spanish. 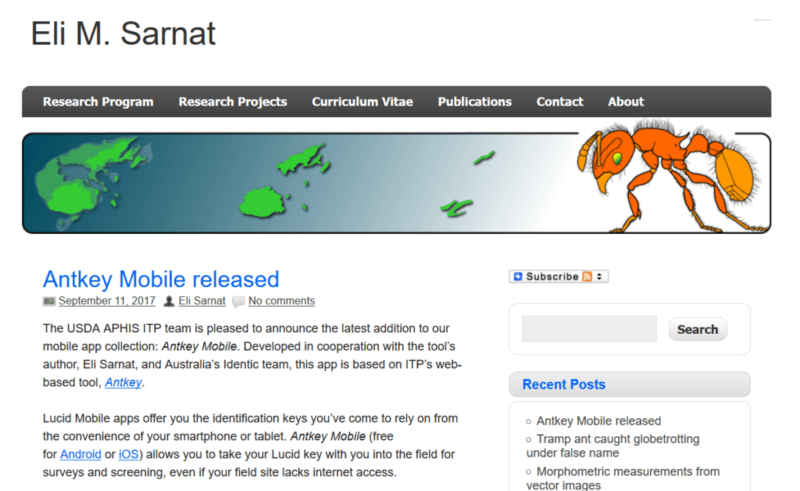 It has an extensive list of links to Spanish and French ant blogs, as well as many listed here. Last posted November 2017. Take a few minutes and check out the efforts of these bloggers. 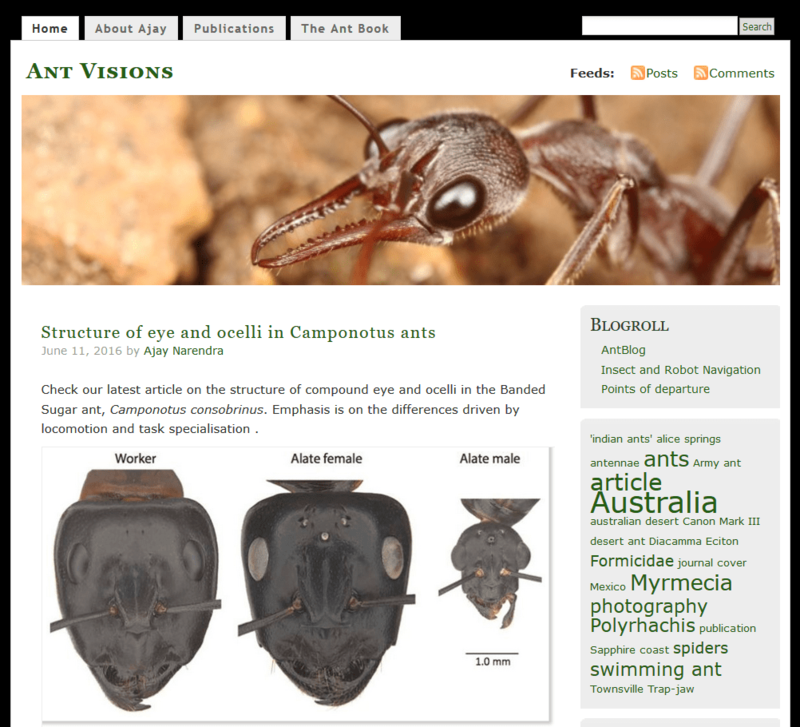 For example, find out the identity of an ant from South Africa (Ant Blog), learn about tandem running in Australian ants (Ant Visions), or watch Tetramorium battle in a video (Biodiverse Gardens). You may be surprised at what you discover. Want to help us make this list more complete for future updates? If you know of any myrmecology-related blogs (non-commercial only, please) that report on science or natural history topics we have missed, be sure to leave us a link or name in the comments. We look forward to hearing from you. Esta entrada foi publicada em Blog, com as etiquetas Blog, Myrmecological News, por formigasdobrasil. Ligação permanente.